Complete Locksmith Services In Helotes - 24-Hour Experts Near You! Complete Locksmith Services In Helotes - 24-Hour Experts Near You! Most people these days are in such a hurry that when they need a locksmith they usually just pick the first name they see. This can cause serious problems for you! You see, not all locksmiths are licensed and many companies that look legitimate, are actually scam artists that will overcharge for shoddy work. It’s simple! Don’t pick any random company, call your local team from San Antonio Car Key Pros and get honest and dependable locksmith services in Helotes. We provide a complete range of automotive, residential and commercial lock and key solutions in your area. 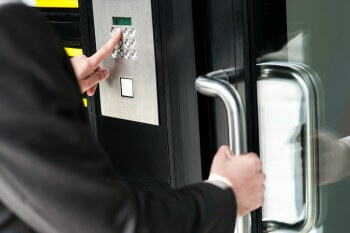 24-hour locksmith services: We are available to assist you any type of locksmith emergency 24-hours a day. Not only that, we charge the same rates whether you call us at 10am or 3am. Many other companies out there will actually charge up to three times the regular price for calls after “regular working” hours. And some of these companies don’t tell you about this extra charge until it’s too late. We also guarantee 30 minute or less response times so you never have to wait long for help to arrive. Upfront Prices: We take great pride in offering our customers affordable locksmith services. But we go one step further and guarantee honest and upfront pricing no matter what. That means that you will be made aware of the cost of a job in advance and your technicians won’t begin work until you have agreed. When the job is done, you will never have to worry about hidden fees or surprise charges. Licensed, Bonded And Insured: Always make sure your technician is licensed, especially when they are doing work that affects the safety and security of your property. All of our technicians have 5+years of experience and you can relax knowing that we are completely licensed and bonded. If that wasn’t enough, our mobile units all carry the latest tools and equipment to handle any situation for any type of lock from old fashioned deadbolts, to modern keyless entry locks. So, what exactly do complete locksmith services entail? Well, besides being one of the top car key replacement companies in Texas, we are also experts at a variety of other services for your home and office. When it comes to the safety of your home, you can never be too careful. But that doesn’t mean that you have to spend a small fortune. Simply put, we provide expert installation and repair services for the locks for your home. We work with a variety of lock types including mortise, deadbolts, profile cylinder and high-security grade 1 locks. We also take care of all your lock change and rekey needs, provide fast home lockout assistance, make quick repairs to any damages from a break-in and take care of broken key removals without causing any damage to your lock or door. You never again have to pick a random locksmith and hope for the best. You can always count on our local team for honest, fast and high-quality locksmith services in Helotes. Get in touch with us for any emergency locks situation for your home, business or vehicle. Or, ask about our security audits and set up an appointment to upgrade your lock systems for your residential or commercial property. We take the guess work out of choosing a locksmith and we are standing by. 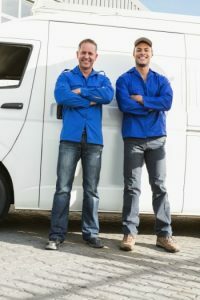 Locksmith Services In Helotes https://carkeyssanantoniotx.com/locksmith-services-helotes/ 4.1/5 based upon 16 reviews.